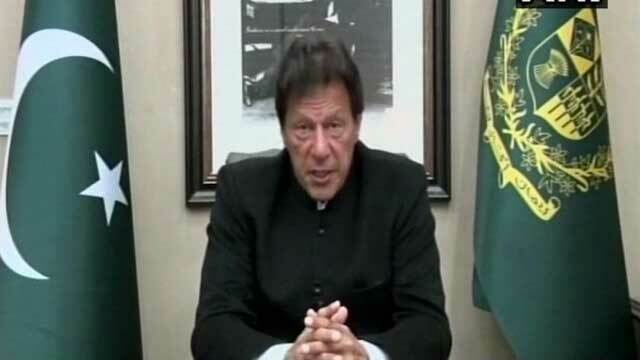 Denying any role in the Pulwama terror attack in which 40 soldiers were killed by a suicide bomber, Pakistan Prime Minister Imran Khan today said Pakistan will retaliate if India attacks. "All this 'attack Pakistan' talk is all keeping elections in mind. But if at all these are serious, please make note of one thing clearly - Pakistan will not think of retaliating, it will retaliate," he said. "There will be no other option left with Pakistan," he added in a video message. This is Imran Khan's first statement on the Pulwama attack, the worst-ever terror strike on security forces in Kashmir. Pakistan-based terror group Jaish-e-Mohammad was behind the attack and a 19-year-old school dropout who joined the outfit last year was the bomber who targeted a convoy of the Central Reserve Police Force (CRPF) on February 14. The Jaish-e-Mohammad is believed to have strong support from the Pakistani army and Inter-Services Intelligence or ISI. After the Pulwama terror attack, India urged the United Nations to brand Pakistan-based Jaish chief Masood Azhar a global terrorist. The government has also launched diplomatic moves to work towards Pakistan's isolation. One of the first steps that New Delhi took was to withdraw Most Favoured Nation (MFN) status for Pakistan. India had granted MFN status to Pakistan in 1996; it never reciprocated. Imran Khan said: "Pakistan is moving towards stability. Why would we do something like this? If you have any actionable intelligence that a Pakistani is involved, give it to us. I guarantee you, we will take action, not because we are under pressure, but because they are acting as enemies of Pakistan." "India accused Pakistan without any evidence and without thinking how this (attack) would benefit us," the Pakistan PM said. "Would even a fool try to sabotage such an important visit as that of the Saudi crown prince?" he added. But New Delhi has repeatedly furnished dossiers detailing terrorists behind attacks in India and evidence against them, without any action from Pakistan. Terrorists like Masood Azhar and 26/11 mastermind Hafiz Saeed roam freely in Pakistan and even address anti-India rallies with impunity. Imran Khan, a former cricketer who took power last August, denied that Pakistani soil was being used for attacks on India. "How can one country's leadership be the Judge, Jury and Executioner... what sort of justice is this," he questioned. "It is easy to start a war but difficult to end it. I want to ask India if they want to live in the past. It's not in our interest that somebody from here goes out to do terrorism, nor that somebody comes here and does terrorism."